Home Economics admission test result 2018-19 found here. 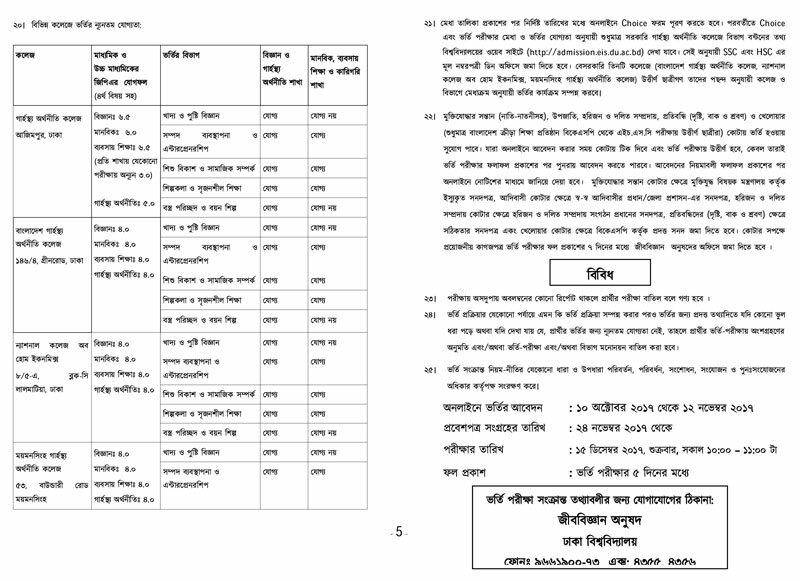 Home Economics Admission Under Dhaka University Online Admission 2018-19 Application process starting from 01 October and ending on 13 November 2018. Home Economics Admission Test Result 2018-19 will be published on 13 December 2018 and found here. Home Economics admission test result 2018-19 will be published on 13 December 2018 & found here. Online Application will be received from 01 October and be ending on 13 November 2018. Home Economics admission test for the Academic Sessions, 2018-19 will be held on Friday 07 December 2018. Time 10:00 A.M to 11:00 A.M. Candidate can also get admission result through SMS from mobile (From all mobile operator). For Message option to get result go to message option then. Online Application Receive starting from 01 October and ending on 13 November 2018. 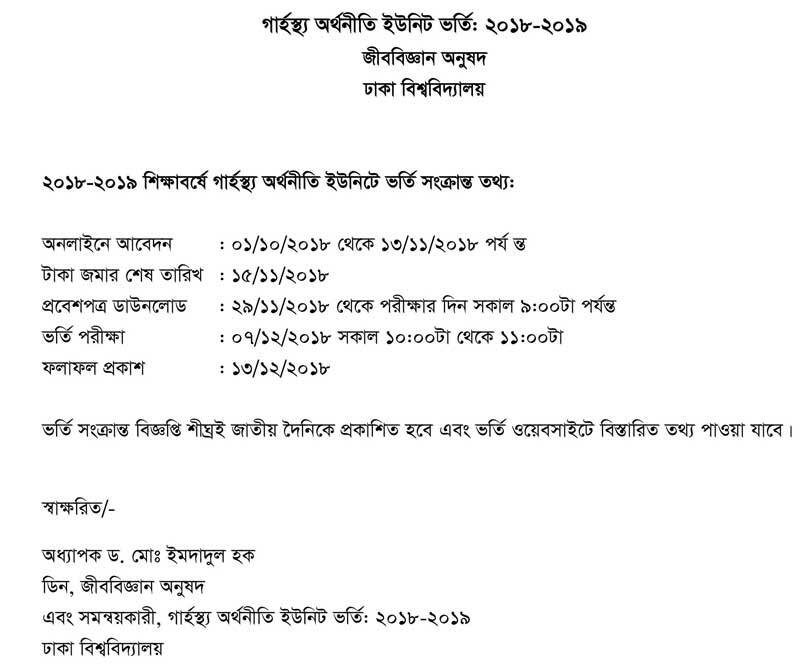 Admission test for the Academic Sessions, 2018-19 will be held on Friday 07 December 2018. Time 10:00 A.M to 11:00 A.M. 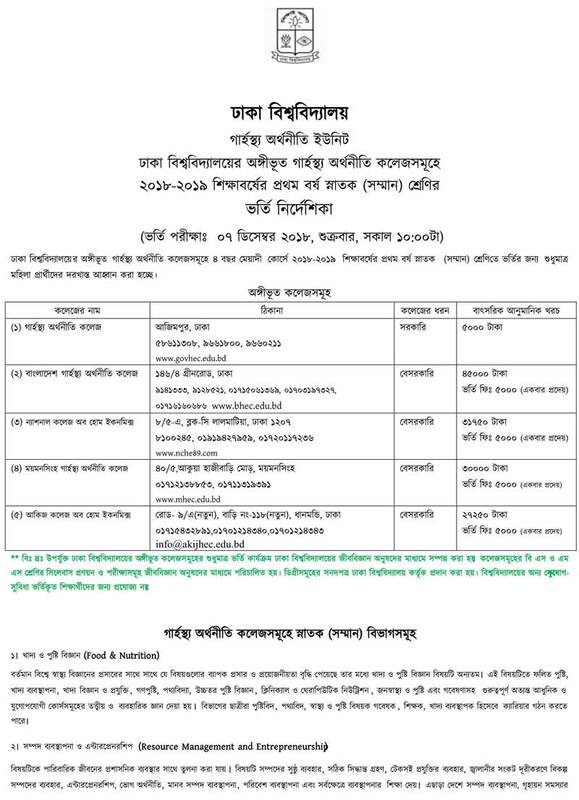 Admission Test Result Published on 13 December 2018 within 05 days after Admission Test Condition: Only Female Candidates are eligible for Apply. 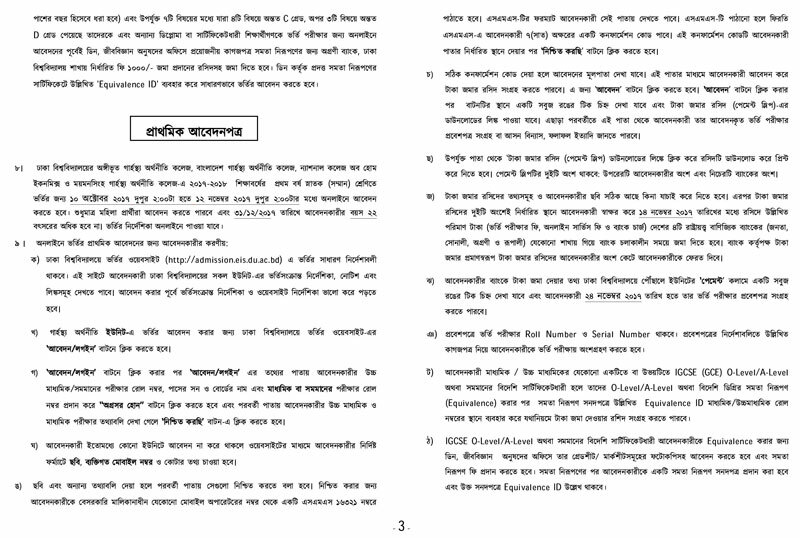 Home Economics College Admission test question will be MCQ based. Total MCQ question will be 120 Total marks will be 120 for the exam. Total 4 subjects will be covered in that exam each contains 30 marks. 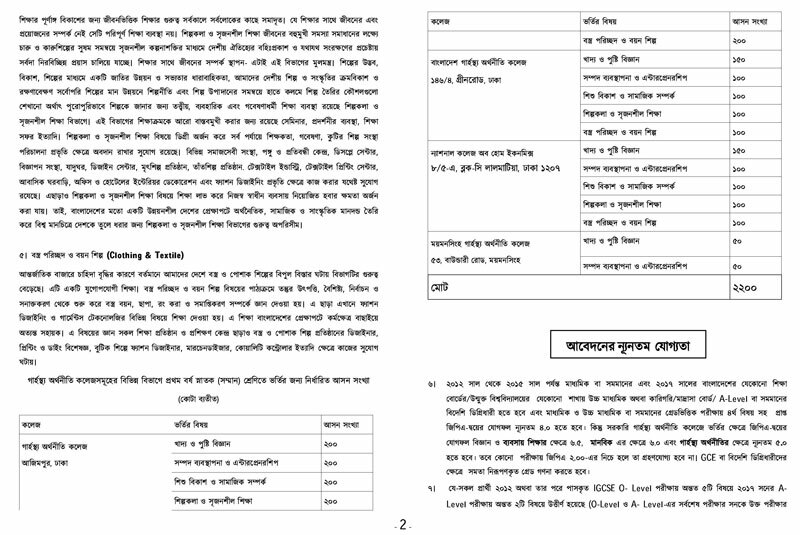 The subjects are Bengali, English and two other are elective subjects.